If you’re starting your garden from seeds this year, you’ll need to have some markers in place to help you remember which sprouts are which, right? 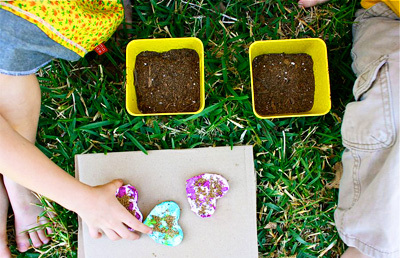 We are absolutely loving these charming DIY rock garden markers featured on Lu Bird Baby! To make your own homemade markers, simply pull out your handy paints and put your pint-sized Picassos to work on coloring in all of the veggies and fruits that you’re planning on featuring in this year’s family plot. 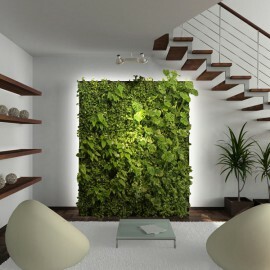 Such a simple project, and yet one that you can use in years to come! 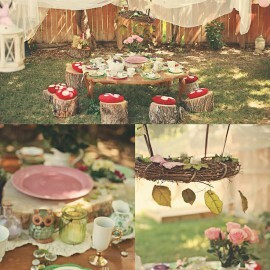 Need a little more fun fairy time in your life? Don’t miss out on this DIY fairy village featured on Lil Blue Boo! Truly a little girl’s gardening dream come true, Mama Ashley says that this project only cost a whopping $10 (not counting trinkets and the extra paint that they already had at home) and that they found the birdhouses — aka fairy houses — for only $1 at Michael’s! 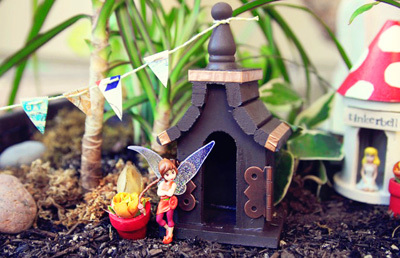 To adorn their new fairy village even further, Ashley added mini potted plants, copper trim on the house, a wee “Welcome” sign, a clock made from old watch parts, and much more. 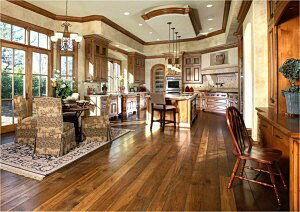 Be sure to check out her full post to see all of the neat additions — the options are truly endless! Clever Mama Dana of the ever-amazing blog MADE shows off these fun DIY shredded paper seed starters that she made with her little ones — and what a perfect idea for introducing your kids to hands-on gardening! 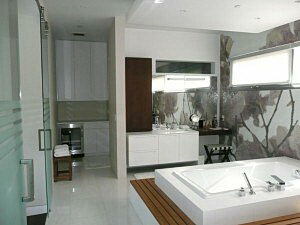 Made using shredded recycled paper and tissue paper, the paper mixture is simply combined in a bowl with water until soft. Drain out any excess water, and then place the paper mix into the decorative cookie cutter of your choice (or roll it up to create a seed ball!). Add your seeds to the wet paper once the shape is set, let dry for a couple of days, and you’re ready to plant. 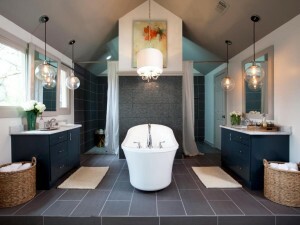 Be sure to check out Dana’s full pictorial for tips — there are plenty of great ideas here! 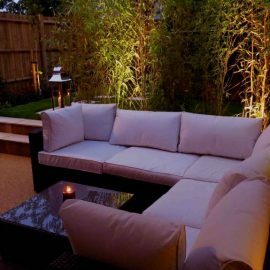 Nothing is more exciting each spring than seeing your bulbs and plants begin to sprout up, so why not give your garden stars the theater stage that they deserve? Needless to say, we cannot get enough of this fun spring mini theater featured on Imagine Childhood! 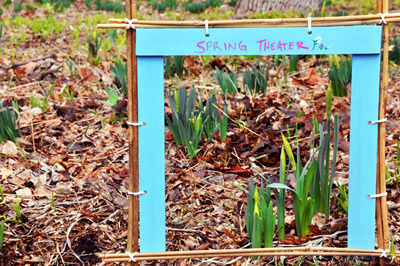 Such a clever idea for watching your spring tulips or daffodils come to life and grow each day, Imagine Childhood’s Sarah used bamboo garden stakes, string, and a few pieces of scrap wood to construct the theater’s frame, but she says the options are endless with what can be used. 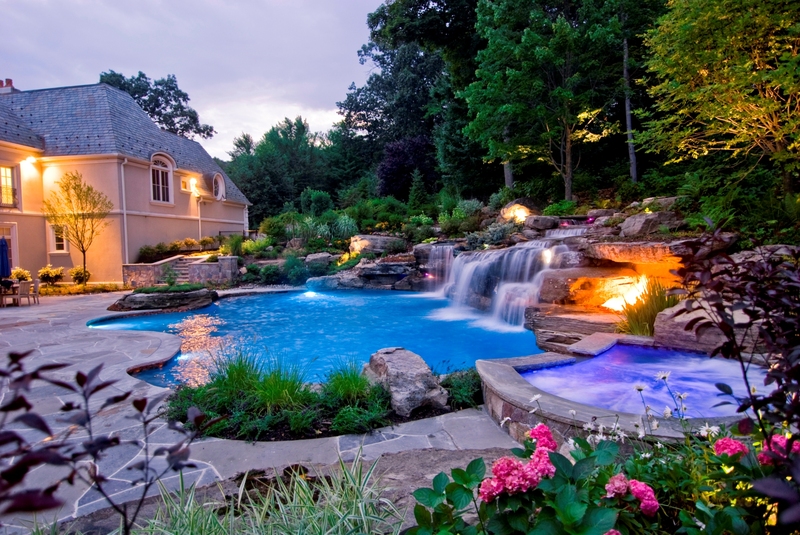 Check out her full post for excellent tips on getting started with your family’s spectacular spring stage! Garden beanpole teepees are an absolute hit among young green thumbs, but why not consider a little beanpole bedazzling, like this garden teepee shown on The Artful Parent? Mama Jean says that she doesn’t quite exactly remember how the ribbons made it into their annual beanpole tepee stringing mix, but that they did, and her little ones (and visiting friends) loved it! 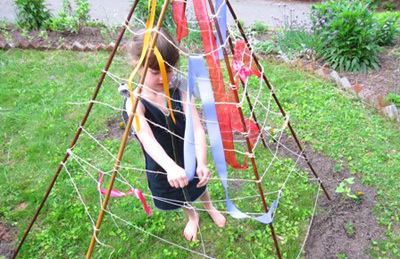 But really, if this is going to be their secret garden hideaway come summer when the beans are fully grown, we think that colorful bright ribbons are the perfect addition for giving a teepee a little bit of extra flair! 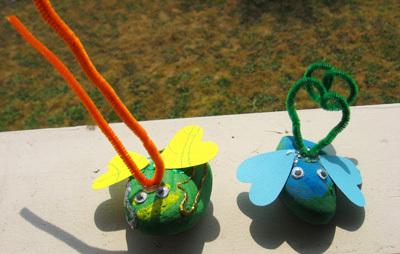 No Time for Flash Cards features these fun rock bugs, and, really — what kid’s garden would be complete without a couple of cool critters on display? Easily made with rocks found in your backyard or neighborhood, Mama Allison says that her little buggy creators used paint, pipe cleaners, paper, sequins, googly eyes, and sparkles to give their rocks some personal pizazz. Check out the rest of her post for the full scoop, along with some great book recommendations for kids! One great way to get kids interested in gardening is to create a plot that includes a fun theme — like this rainbow garden featured on Make and Takes! After reading the classic children’s book Planting a Rainbow by Louis Elhert, Mama Marie and her little ones set out on a quest to plant their own rainbow — and the project turned out beautifully! 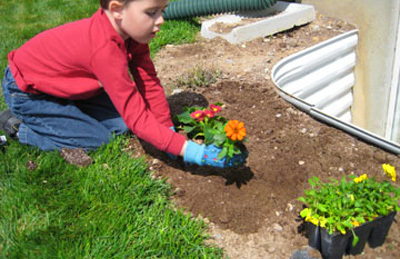 Though their family chose to plant their rainbow with flowers (and parsley for the green), Marie says that Elhert’s book includes tons of ideas for rainbow veggie gardens as well. 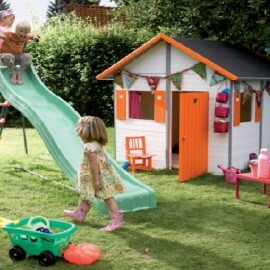 So many colors to choose from and plenty of fun to be had while watching your rainbow grow throughout the season! After discovering how much her children love to collect snails in the yard, Mom Anna of the crafty cool blog Lilla A and her kids came up with this neat idea for having colorful snail races. 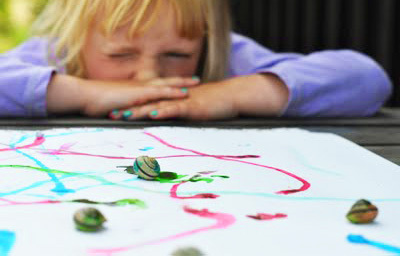 To get started, Anna’s little ones simply dipped the snails into dabs of various food coloring and set them on a large white sheet of paper for cruisin’. Anna says that it was fun to see the gorgeous bright patterns that emerged throughout the day as the snails made their cross-canvas journey. 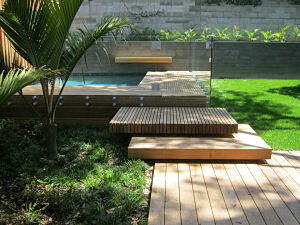 Be sure to check out the full post for more great photos of the project! Note: Anna says that no snails were harmed during this activity and that the food coloring on their bodies came off easily as they slid along. 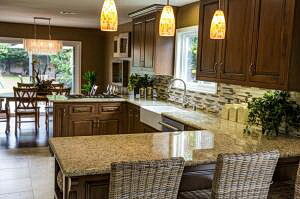 However, all-natural food colorings are also available. 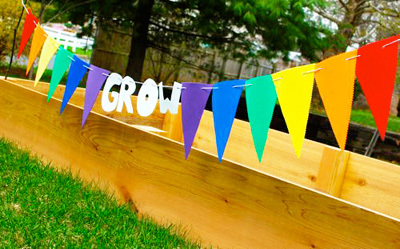 There’s nothing quite as welcoming for a new raised garden bed than this lovely DIY “Grow” bunting included on Inner Child Fun! While her tot took an afternoon nap, Mama Valerie says that she decided to whip up this colorful crafty bunting line because she just couldn’t wait to get started in the new plot. 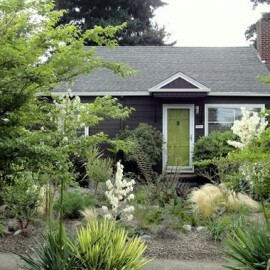 Dirt and seeds can come later, but garden bunting is a must! To make the bright line, she simply cut “Grow” and the triangles out of craft foam, and used a hole punch to thread the string throughout. And as an additional bonus, the craft foam holds up well in wind and rain so you can enjoy your colorful garden bunting all season long! Life is just so much sweeter when there’s little birdie friends nearby — and that’s exactly why we can’t get enough of TinkerLab’s fun idea for making homemade bird feeders! 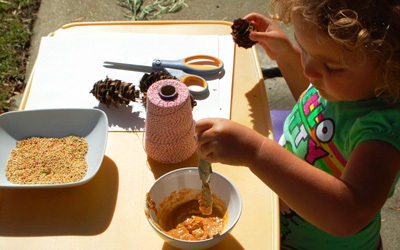 Easy for small hands to create, you’ll only need to have some peanut butter, birdseed, twine, pine cones, and scissors on hand to get started on your own “cheep” treats. (Mom Rachelle says that her little one especially loved slathering the peanut butter onto the pine cones — it’s a tough job, but someone’s gotta do it!) Check out the full post for an additional outdoor “hop circle” game idea (think hopscotch, yet with circles!). For the wee little ones who can’t get enough of the sensory table, consider whipping up a snazzy gardening sensory tub like this one featured on Modern Parents Messy Kids! 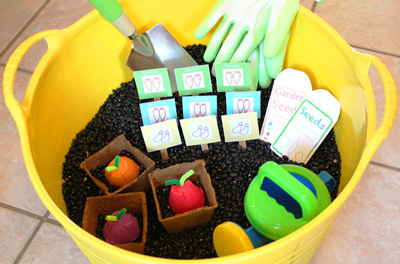 A perfect way to introduce your tot to gardening, Mama Stephanie says that she found many of her tub’s accessories at Target in the dollar section, and that she filled the tub with dry black beans to imitate soil. She made her “veggies” by simply painting the bottoms of an egg carton and included pipe cleaners for the stems. And, if you’re loving her sweet little veggie markers, you’re in luck — she includes a free printable for all three veggies: carrots, eggplants, and radishes. 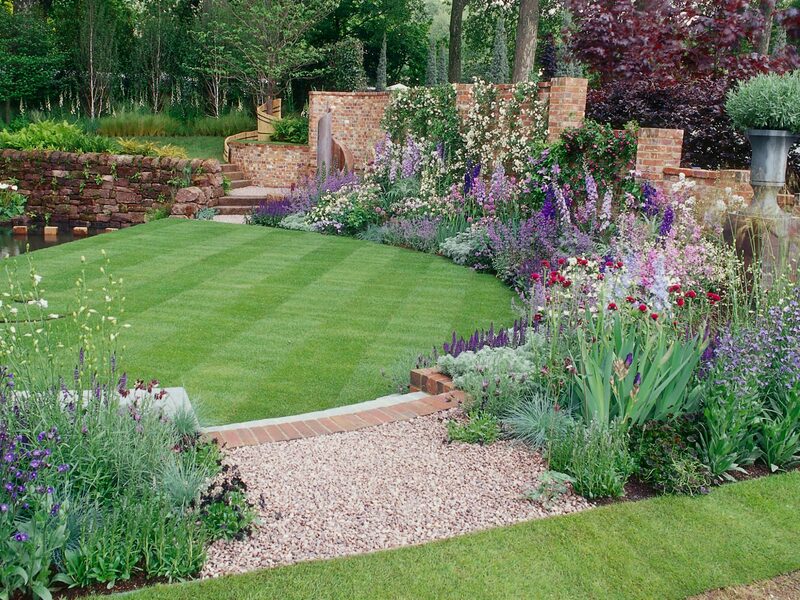 Talk about some seriously sensational gardening fun! Another great idea for making easy-peasy garden crafts, we adore these bright and beautiful plant markers featured on Skip to My Lou. 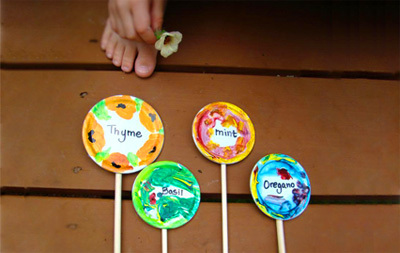 Perfect for incorporating art and providing an impromptu lesson on different plants in the garden all in one fun afternoon project, these DIY plant markers were created when guest blogger Caroline realized that her kids had no idea what she was talking about when she’d ask them to harvest oregano for the dinner meal. 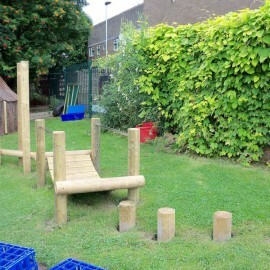 And really, there’s nothing quite better than an educational experience that doubles as an outdoor art project! Check out the full post for the full tutorial on creating your own homemade plant markers. Why spend money on plant starter kits when you’ve got eggs in the fridge? 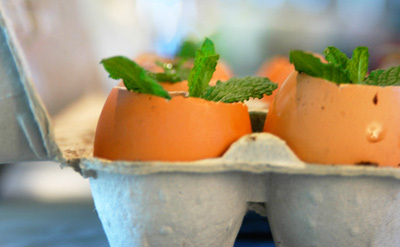 Imagine Childhood’s Mama Sarah shows us just how to create our own eggs-cellent starters! “Just the right size for little hands,” these egg starters are perfect for starting your seeds indoors — you only will have to crack the shell gently before placing the sprouts in the ground when they’re big enough. 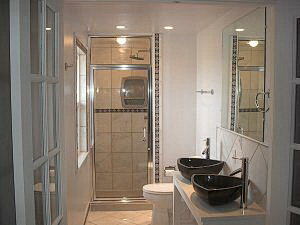 Easy and organic — just the way we like it! Check out the full tutorial to see how Sarah went about cracking her eggs — and for a link to Smitten Kitchen’s delicious mushroom and leek quiche. I Am Momma Hear Me Roar offers up this fun idea for creating a DIY spring scavenger hunt — and what a great excuse to get the kiddos outdoors for an afternoon of fun with nature! To get started, Mom Cheri went out in their yard and found 12 different “treasures” that would be easy for her son to find. 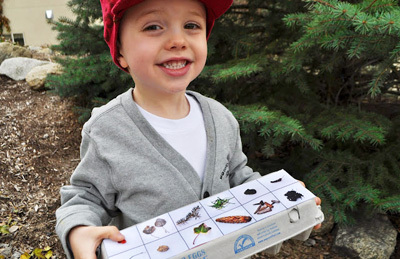 She added photos of all of the items on white posterboard, put the images together and then added them to a printable sheet that would fit nicely on an egg carton — perfect for housing all of the found items! If you don’t have time to make your own images, Cheri’s backyard items are available to print — though she warns that based on where you live, you might not have the same treasures. 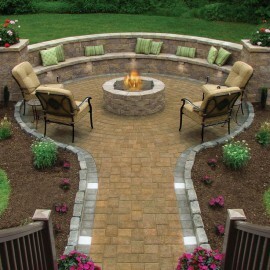 Check out the full post to see everything she included, or for ideas on making one from scratch to fit your own backyard. 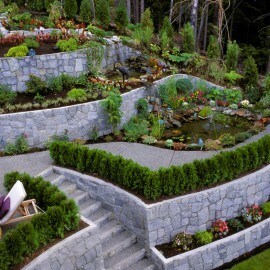 Pizza is most definitely an easy way to win over your kids (and their friends), so why not make a garden that’s dedicated to doing just that, like this pizza garden served up on the DIY Network? 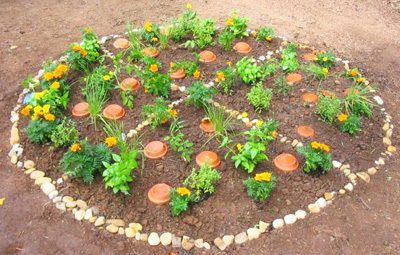 To get started on your own perfect-pie garden, simply plant any and all of the ingredients that traditionally work well on a pizza — tomatoes, oregano, basil, green peppers… Considering the variety of toppings that are available on pizzas today, the options are endless! (Sure, there’s no such thing as a pepperoni tree, but what about spinach and garlic?) Check out the full post for excellent tips on getting started in the garden — and for how to make your garden actually look like a real pizza!